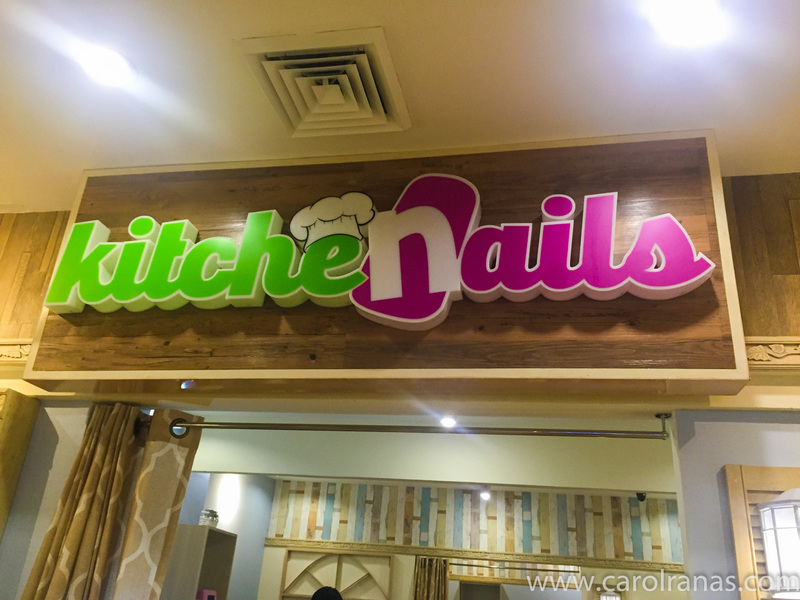 KitcheNails is a newly opened nail salon at Trinoma. The concept of the nail salon is quite unique as the whole salon exudes scents that will make your tummy flip. KitcheNails is a culinary-inspired nail salon which features a unique way to pamper your hands and feet (and even your nostrils). They opened a few weeks ago, and I was lucky to be invited to try their services. I rarely go to a nail salon because my nails are pretty low maintenance. I just keep them short and clean and that's it. If I'm feeling a bit adventurous, I'd sport a nail color.